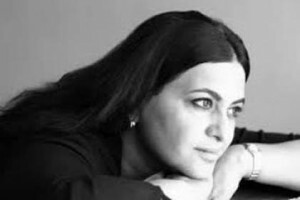 Anupa Mehta is a story coach, published author and an arts consultant. Her novel, The Waiting Room, was published in June 2007. An interest in counselling psychology and training with world renowned storyteller and author, Dr. Clarissa Pinkola Estes, led her to develop coaching workshops that use personal storytelling as a tool for transformation. 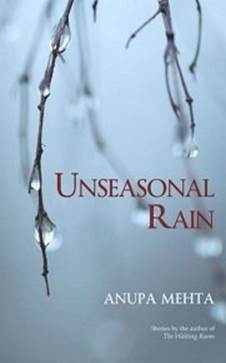 In Unseasonal Rain Anupa Mehta has worked on the idea of loss in the lives of ordinary people. The characters, unique in their own ways, have all suffered loss of one sort or another. Ordinary readers can relate to these stories because of this sense of loss. The book consists of nine stories. Though there are many noteworthy stories, the ones I enjoyed the most include Yellow Submarine and Lists. The Yellow Submarine is about a young researcher Nynika who sets out to document the loss in the lives of various Gujarati immigrants based in London. In the process she comes across a man, Amal Amin, who takes a liking for her. In the end rejected and forlorn, Amin lands up in the mental asylum; Nynika remove Amin’s case study from her report. The beauty of the story lies in reflecting something which most of us must have either seen or heard of in our lives – rejected love, severe depression and even insanity. The second story Lists is about an old lady Kamal Fai, who lives in a dilapidated mansion on the outskirts of Mumbai. Kamal Fei loves and pampers her niece Ronita as though she is a kid – bringing her sweets and home cooked savouries and calling upon her on most weekends. But Kamal Fai has one peculiar habit – that of making all kinds of lists. Tanu is Ronita’s friend and through her she discovers the world of Kamal Fai. From the moment they meet, they become quite fond of each other with Tanu visiting her on almost all weekends. Kamal Fai confides in her and dotes on her. But soon old age and grief catches up with her. When she dies Tanu grieves the sudden departure of her beloved friend. She is surprised to find out a small package left for her. What she finds in it is not only beautiful but also heartrending. For an author the biggest challenge is to make the reader feel and live the emotion which she wishes to convey. Anupa Mehta has indeed done a very good job of moving the readers to near tears in not one but in almost all the stories. The setting of each story is unique and so are the characters. All of them beautifully complement the central theme of the book. I give the book four out of five stars for its excellent writing.